Most people spend an average of 40 hours a week at work. If you are one of these people, then you will probably know that once you are at work then the chances of getting some rest or doing leisure activities during working hours are very small. This is the cause of high stress levels at work, and this is also the reason why people need leisure activities to take their mind off work. Hobbies come in handy in this regard. They are one of the best stress busters that you can find. It is a way to indulge in something that you love and passionate about. The best hobbies are the ones which will not give you additional stress and headache because they are not expensive and are easy on the budget. Another important aspect of hobbies that you should remember is that it should be something you enjoy. Here are some fun hobbies that you might like. Gardening is one of the most relaxing hobbies. When you’re stressed-out, a little sunshine and fresh air will do wonders. Aside from these, it is also aesthetically relaxing. Seeing your colorful garden take shape will definitely lift your spirits. This is a relatively inexpensive hobby. From an initial small investment on seeds or small plants and to the occasional purchase of organic fertilizers, you can cultivate a mature garden without investing too much money. The expenses of its primary needs like water are minimal and, of course, sunshine is free. Another wonderful aspect of gardening is that it is not only inexpensive but it can actually save you money and you can actually earn money from it. Vegetable and herb gardens can be a source of food, which can help you save money on food expenses. Just check out how well Miss T’s garden does. If you have too much food, you can always give it away or sell it for additional income. Writing is another hobby that is cheap and an effective stress-buster. Journaling can help you let off some steam by writing down your emotions and the events of the day. You can also use it as reference in the future for some important details that might have forgotten. You can also try different types of writing like poems, essays, and short stories. Blogging is also a good hobby you can undertake. You will have fun designing your site or imparting some knowledge to the readers. With writing, there is very little cost involved, you only need eloquence, emotions, and a bit of time. Cooking can be expensive or cheap depending on you. With cooking you do not need to spend a lot to produce delicious dishes. One of the main advantages of cooking is that the end product is definitely useful. You do need to eat and so does your family. You just need to purchase cheap ingredients and follow recipes that require inexpensive ingredients to avoid spending too much. There are a ton of healthy recipes you can try online too for free. 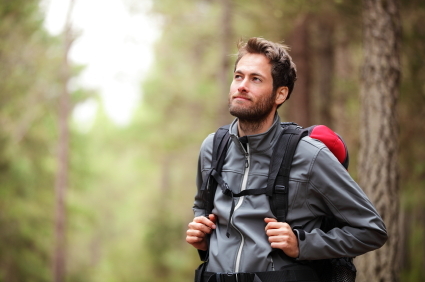 Another way to get some fresh air and commune with nature is by hiking. It is a cheap, fun and relaxing way to spend your weekend break. You do not need expensive gear to trek the outdoors. Sneakers and plain attire will do. You can search the net for free and scenic sites to hike. You can also do it with some friends and family to make it more enjoyable. Reading is one of the traditional hobbies that people have enjoyed for centuries. It can literally take your mind off the daily grind. You do not need to read expensive bestsellers to get into the habit of reading regularly. You can check out the used book stores or the flea market. You might be amazed at how cheap the books are there. You can even discover great finds, bestsellers, and first editions that are not too expensive for you. If you want to save even more, you can go to the local library and read or borrow books from there. The internet also has tons of downloadable ebooks that you can enjoy. Reading can also let you learn something new along the way. Everyone needs a diversion from the daily grind, a way to free themselves from worry even for just a while. Hobbies are a good way to do this, and they should not bring the stress of additional expenses. It is best to know your interests and find ways to enjoy them without the added financial burden. What hobbies do you enjoy? Did you find ways to enjoy them without breaking the bank? Nice post Dominique. I do all the things you listed! I also love spearfishing because I live next to the sea. I made a spear from a broomhandle and it works brilliantly. You have to add the rubber sling and a few spikes, but they are cheap. It occasionally provides dinner too. Riding my bike and playing board games also takes up a lot of my time. That’s awesome! How long did it take you to catch something with your spear? We do many of these ourselves. We love to garden and we’re now able to get our children involved in it as they love being outside and we get to teach them where food really comes from. What was the last thing you and the kids gardened? As I wrote in my post on Friday-I abhor cooking, but I do think I want to take a stab at gardening and plant some flowers on my porch this spring! Why do you hate cooking? Also, if you hate cooking how do you save money on food? I’d add biking. It’s a great stress reliever, fun, and healthy! I feel much better on days I bike to work versus days I drive. It makes a huge difference. When you bike to work does it mess up your working gear? Hiking! My family and I go to this sorta local state park and hike ALL THE TIME! We never get sick of it! It’s completely free and we get to walk around all day outside and just be together. I can’t agree more about the hiking thing — my mom always took my sister and I hiking, and I always take my family hiking now! That’s awesome, it’s as if you guys have a family tradition now. Another fun aspect of the hiking tip is to geo-cache while you hike. Download a free app and you and the kids are off on a free treasure hunt. Great way to spend time as a family and get some exercise in the process. Geocaching is a huge hit with my 3 kids. We love geocaching. My hubby and I have done it lots. I love how portable it is. We always try to find a cache or two when we travel. I enjoy several of the hobbies on your list… gardening, reading (get free books on my Kindle from bookbub.com), & walking. I also enjoy biking, which is cheap once you’ve invested in a bike. I also enjoy photography. There’s a cost to invest in a camera, but with digital photography there’s not much cost after. I make dvds of family photos for my siblings, which are inexpensive. Another favorite is crocheting, which I find relaxing in the evening. I keep the cost down by buying yarn on sale and using coupons. An added bonus is I make gifts for friends~ baby blankets & scarves, much nicer than anything I could buy for the same cost. Have you sold any of your crocheted pieces on etsy,ebay or craigslist? Great list. I enjoy reading, writing (blogging), and a little gardening. You’re right…all very inexpensive and stress-relieving. blogging is definitely inexpensive and stress-relieving.. just takes a little bit a time. Running, biking hiking; anything to keep me active! The joy of cooking huh? how is it coming along? I’m all about writing and reading! Those are my hobbies and I throw in an occasional movie! Nice choices! I would add bicycling and running. After you buy the equipment, it lasts a long time. Great ideas for hobbies in this article. I personally enjoy reading as a way to get rid of stress. Me too. I read every night before bed. It is a great mental unwind. What books do you read to get rid of strees? I love doing most of these things. There are a lot of free sporting activities that are fun and can be done as well, however, most of them are seasonal or require an expensive piece of equipment. Cooking is not only fun, it saves money, too! If you are prone to eating out. A lot of sports can be done indoors though in the winter and renting gyms isn’t too much money. We also love to cook. It is fun experimenting with different ingredients. The only thing with cook that can get costly is as you learn more you want to experiment more.. which could cost you a lot of money once you get into hard to find ingredients. Simply enjoying going for a brisk walk can be a great way to spend time. Enjoy the outdoors, clear your mind, and get some exercise – all for no cost! I bet it isn’t as cold as where I live in Canada?! We just went for a walk the other day after work. It felt really good. We love all the hobbies mentioned here. We used to have a garden when we rented a home, now in an apartment it is not possible. We would love to have a garden again. Recently cooking has been our idea of a date. I take one course and he does one. We help each other, spend time and have an awesome meal as well. You should try a window sill garden. They can work quite well and take little space. We have done some cooking classes together too. They are fun and a great way to spend time together. Why do you make an indoor garden? You get all the challenges and benefits of gardening. Although it may be a little more expensive, taking up an instrument is a great way to spend your extra time. An entry level guitar can run around 100 bucks, but it’s fun, rewarding, and really keeps your mind off of stress. True… But then again doing something like learning an instrument is very rewarding. Altough, I really do like video games alot!